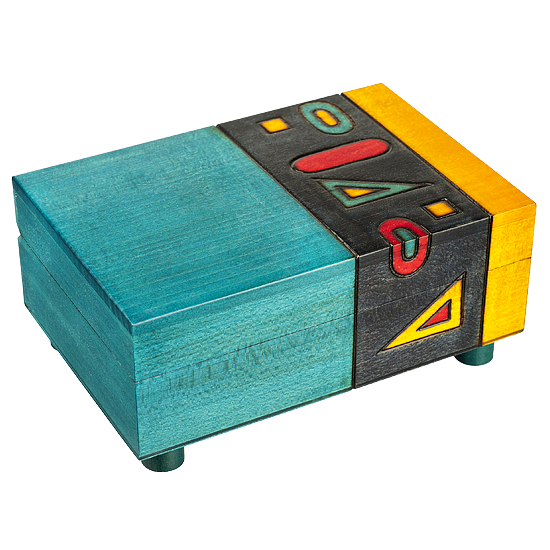 Rectangular box with geometric shapes & gold paint, loosely styled after Gustav Klimt's paintings. Secret opening, front legs Twist to open/close. An original EWB design.